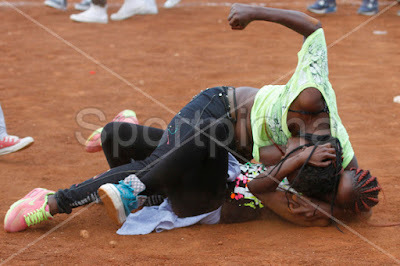 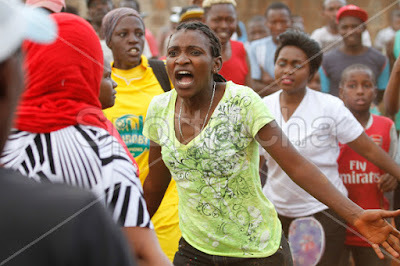 A shocking incident occurred at Ziwani stadium in Nairobi after two ladies took to the ground to challenge each other competing for man. 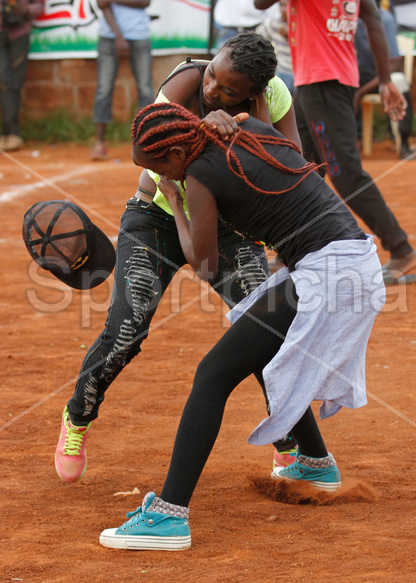 The incident happened during the Koth Biro Tournament finals where the two ladies are said to have started trading insults at each other over one handsome looking man. 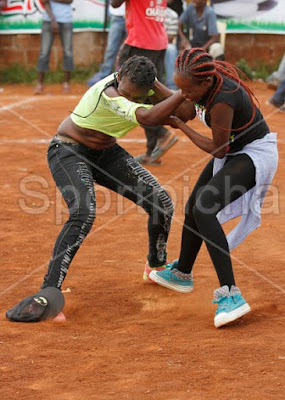 Things later degenerated into a physical fight as the two ladies tried to muscle each other for the coveted chance to go home with the lucky guy.